A member of WPPM and founder of Stories - International Wedding & Portrait Photography, Grace Tan is an extrovert in person. She loves life and being around people (and beaches). My hubby has been telling me a couple of years down the road, our pre-wedding photo album will start gathering cob web/ dust/ mold in one corner of the book shelf. Do all men think that? On the other hand, I am still happily playing our pre-wed slideshow on my notebook from time to time. I think these precious memories are there to remind us how "stunning" we once look, years from now. The point I am trying to get to is about Grace's mission of capturing the lovers stories. Where they travel to, what they wear, why do they spend that much of money, how they enjoy each other's company, who is drunk on the wedding day, the list goes on. Looking at the gorgeous photos at the beach, I can imagine the amount of hard work and sweat entailed. I love the blue theme that matches the blue sea and sky extremely well. Grace was able to capture the pictures in a way that the objects blend into the background nicely. Very comfortable to the eyes indeed. 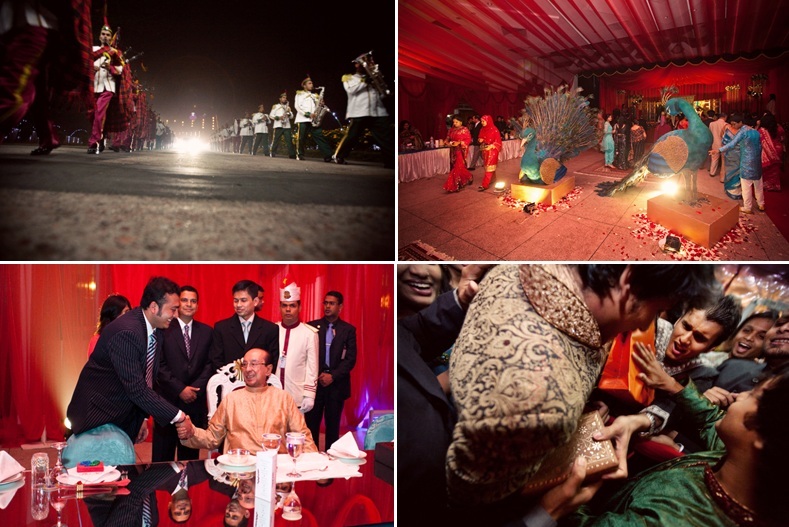 Nabil & Maisha's extravagant wedding (for the bold and beautiful) left me speechless. A celebration of this splendor reminds me of the royal wedding. A troupe of army was seen marching and playing musical instruments. Even the President of Bangladesh attended their wedding (the one seated and escorted by an entourage). 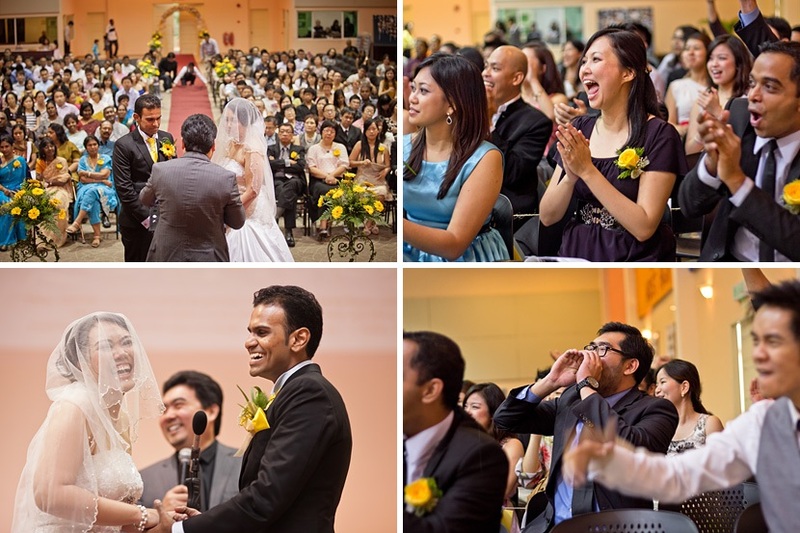 You can view the AD (Wedding Acronym) grandeur photographed by Stories PGs; Mark and Andrew. 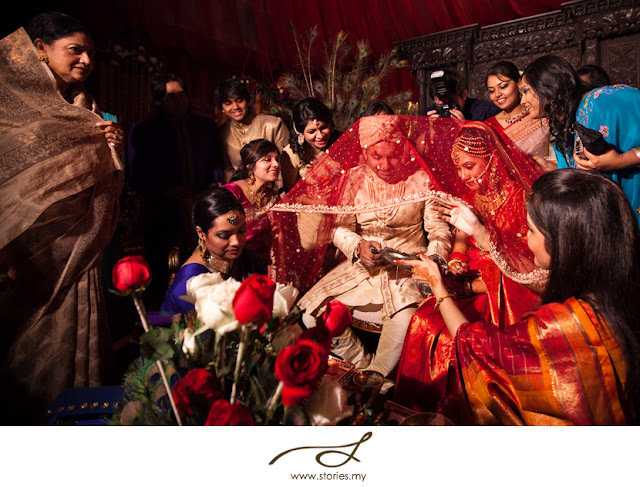 It appears to me the guests were shoving gifts to the groom like a singer in a concert. I think the photos are simple and honest, did not excite me greatly though. "those of you who can afford it, the stories team looks pretty good at capturing the moments..their website is http://stories.my/.They recently moved into place in pj. " no closing ur eyes and leaning on ur husband’s chest stuff… dont worry~"
"Stories.my is really good! My friend did a wedding & pre wedding shoot with them, and it turned out great! They also do more creative shoots (by brides request) according to the theme picked by the to-be married couple! :) Totally recommend that! " Rates: Pre-wedding / engagement portrait photography rates start from RM1,800 and full day wedding day coverage from RM5,500. No problems Grace, thanks for dropping by.